I believe that, if we want to be effective at marketing and selling, we need to understand why customers buy what they buy, how they think about buying and what influences them to buy. This knowledge then provides the basis for us to present our business in the best light. 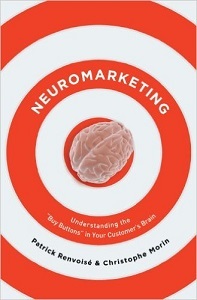 In recent years, the topic of neuromarketing has developed based on measurable activity in people’s brains. This has helped to close the gap between direct response marketing and brand based marketing which emphasises awareness of the brand and products or services. 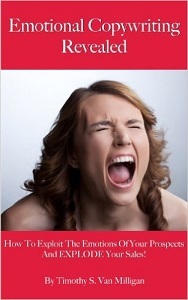 You may have heard the cliche that customers buy emotionally and then justify rationally. There’s a lot of truth in that as I believe any significant purchase has to be approved by both the emotional and logical elements of our brains. Below are the books about customer psychology I’ve reviewed at Amazon.co.uk. My aim is to be a tough reviewer where five star books are highly recommended and four star books are also well worth reading. Three star books are worthwhile but not special enough to recommend. I try to avoid reading books that others have flagged up as disappointing so there is a bias towards the better books. Pre-Suasion: A Revolutionary Way to Influence and Persuade by Robert Cialdini – A follow-up to a classic which will be seen as a must read but it left meeting feeling disappointed because I expected something great. 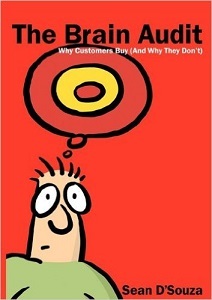 How Customers Think: Or, How Customers Like to Buy by Steve Deery – a nice book about matching your selling style to the customer’s buying style. 7 Secret Motivators That Drive Your Customers to The BUY Button by Susan Friedmann – A nice introduction to why people buy. Mindcontrolmarketing.Com: How Everyday People Are Using Forbidden Mind Control Psychology and Ruthless Military Tactics to Make Millions Online by Mark Joyner – A book with a story, withdrawn because the ideas were “too dangerous”. Methods of Persuasion: How to Use Psychology to Influence Human Behavior by Nick Kolenda – A very interesting read although its hard to remember all the techniques without serious study and revision. In time, this could be promoted to 5 stars. The Guerrilla Marketing Revolution: Precision Persuasion of the Unconscious Mind by Jay Conrad Levinson – An interesting start to a new way of marketing to the unconscious brain. Reading Customers Minds: Why Customers Don’t Buy From You And What To Do About It by Lindsay Spencer-Matthews – Very interesting and well worth reading as it uses set theory to contrast what you and your customer know and believe to be true. 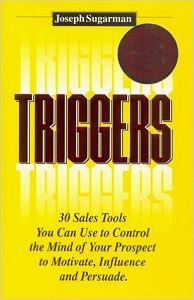 BrainScripts for Sales Success: 21 Hidden Principles of Consumer Psychology for Winning New Customers by Drew Eric Whitman – an interesting book but it could have been better if the author had spent more time on the 8 primary desires and 9 secondary desires that provide the underlying motivations for buying. Zero to Psychographics: Your guide to uncovering your target audience using psychographics by Sarah Arrow – A short introduction that’s quite technical and loses focus on making the ideal target customer very human. Decoded: The Science Behind Why We Buy by Phil Barden – mainly written for large fmcg companies and I felt it covered old ground rather than introducing much new. Neuromarketing For Dummies by Stephen J. Genco, Andrew P. Poholmann and Peter Steidl -a technical look at neuromarketing but it’s more for academic use than small business owners. Customer Avatar: Define Your Ideal Customer Profile by Richard G. Lewis – A short summary that introduces the idea rather than being a definitive source. Unthinking: The Surprising Forces Behind What We Buy by Harry Beckwith – Long-winded and very American which makes it hard to understand the examples. Psychological Triggers – Triggers That Cause Buyers to Open Their Wallets by Dr Treat Preston – best avoided because I found the style very irritating. 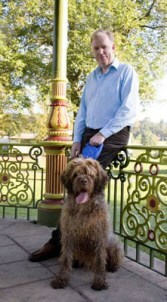 Emotional Intelligence for Marketing: Positive + Negative = Positive by Steve Young – Message to author – proofread it, give it to someone else to read, edit it and then try again. Would You Prefer To Watch Videos And Listen To Audio Recordings Instead Of Reading? Is Your Business In Trouble, Struggling, Stuck Or Simply Not Growing As Fast As You Would Like? 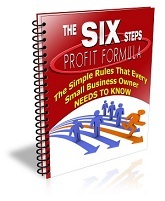 This is a link to an exceptional business growth training system. When I saw this, I gave up all ideas of developing my own information product because I can’t develop anything as comprehensive or as well presented. I am an affiliate so, if you decide to try it, I will receive a commission.